At a Learn Serve Lead session Quindlen moderated, four doctors-turned-patients shared their unexpected personal journeys. Columnist and author Anna Quindlen moderated a panel at Learn Serve Lead 2017: The AAMC Annual Meeting. Pulitzer Prize–winning columnist and acclaimed novelist Anna Quindlen has explored a huge swath of human experience, from the role of race in America to losing her mother to cancer at age 19. Quindlen was the third woman to join the prestigious ranks of New York Times op-ed writers, and a dozen of her books—including seven of her novels—have appeared on the New York Times bestsellers list. 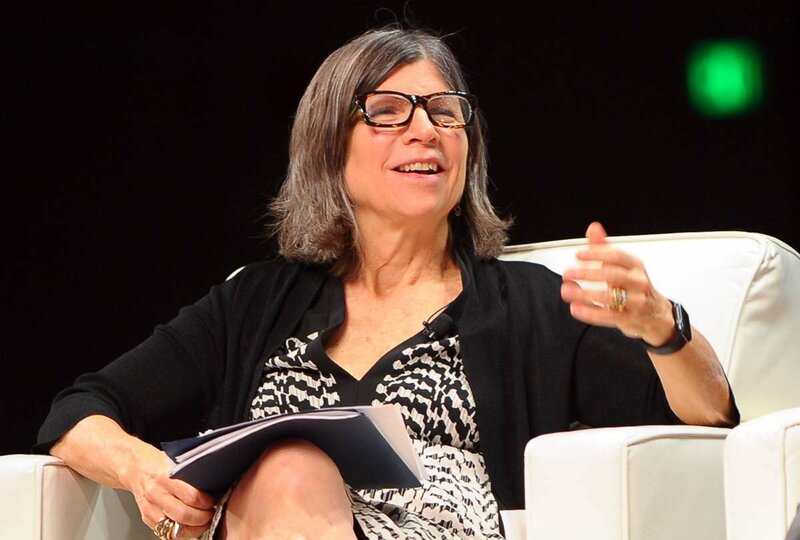 Considered both an acute observer of human nature and an incisive social critic, Quindlen has received honorary degrees from more than 20 colleges and universities. The Learn Serve Lead panel featured physicians whose life-changing stories influenced how they provide care. Emory University pediatrician Lucky Jain, MD, MBA, was felled by a sudden heart attack. Sherry M. Wren, MD, a Stanford University surgeon, survived serious postsurgical complications. David Carbone, MD, PhD, an Ohio State University oncologist, faced lymphoma. Beacon Health System family medicine resident Oluwaferanmi O. Okanlami, MD, MS, was paralyzed by a spinal cord injury. In the lead-in to the session, Quindlen shared her thoughts on handling loss, doctors’ human touch, the role of humor in healing, and more. You are moderating a panel of physicians who have themselves been patients with serious health problems. What do you think attendees will learn from the speakers? For so long doctors have been seen as gods, “MDeities”; to us civilians they seem to have enormous power over our lives. I hope those who attend this session will be able to consider what it’s like to cede that power, to be a patient instead of, or as well as, a physician. Do you think doctors who have been patients make better doctors? Why? I’m sure the answers to that are as various as the number of doctors in the world. What I can say is this: having been the subject of newspaper and magazine stories made me think differently about writing them. As a personal matter, I understood how it felt when people were sloppy or unthinking about the facts of my life. And, boy, did that make me vow not to be sloppy or unthinking about anyone else’s. So in my experience, a journalist who had also been a subject became a better journalist. Do you think it’s a good idea for doctors to share their own medical challenges with patients at times? If I were being treated for breast cancer and my doctor had been as well, I would want to know what she had discovered, not just as a physician, but as a woman, perhaps as a wife and mother. Absolutely. As you’ve navigated the health care system, do you have any wisdom you’d like to share with future doctors? From my personal perspective, I like the doctors I work with to understand that I am the captain of the ship. I want a partnership with them, but I am not a patient who wants to be told what she will do. I make my own decisions. In this way I suspect I am somewhat atypical. I vividly recall the morning I had to argue with two anesthesiologists who wanted me to have a general for surgery when I had decided on an epidural. Finally the surgeon intervened. At some level it felt as though they saw me as a problem to be managed, not a person to be consulted or engaged. You’ve written about empathy. What advice do you have for physicians who want to be more empathic? Eye contact. I love electronic [health] record keeping, but as you all know better than me, what it often means is looking at an iPad instead of at a patient. I recently met a veteran doctor who told me he always took the pulse of patients in the ICU when he was making rounds. One of the residents said, “But you can see the pulse rate on the monitor.” Of course what he was doing was finding a reason to touch the patient, the old laying on of hands. No tech substitute for that. Some of the panelists have faced major illnesses and losses. You dealt with the death of your mother at a young age. What enables some people to rise above such adversity? I don’t believe in rising above. Some of us have managed to learn life lessons from pain and loss that have increased our sensitivity and empathy. I look at life differently because I feel as though I am living for two, myself and my mother who was barely 40 when she died. Rising above suggests no scars. Best case: scars as daily reminders to be better than you might be. What role do you think humor plays in healing? I hear if you laugh soon after a C-section, it’s pretty terrible. Otherwise I think humor makes everything better. I want health care professionals of all stripes to see beyond the carping and complaints. I hear people say all the time, “Oh, health care, it’s terrible; it’s perfunctory; it’s not like the old days.” And then I ask, “Do you like your doctor?” In almost all cases, the answer is, “I love my doctor. My doctor is wonderful.” In other words, it’s everyone else—the unseen, the unknown—who are no good. But my nurse practitioner? My therapist? My internist? The best. You all have an extremely difficult and demanding job. Remember this: your patients love you and depend on you.